Here are some common questions I get through this blog: What is the best Google SERP checker tool? What service do you use, and – more importantly – what free rank tracking tool or service would you recommend? 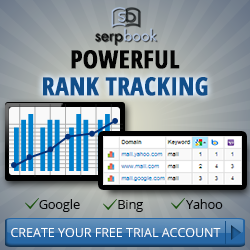 In this post I will share some of the rank tracking tools and services I have used, why I no longer use them, and why I have used SerpBook – with zero issues – for over a year now. First off, when looking for a free SERP tracking tool, the saying “you get what you pay for” often applies. And for good reasons. Why would a profit driven company keep track of your rankings for free? There isn’t any money in that. Besides, if you didn’t like their service after your free trial (most rank tracking services aren’t very user friendly), how are they ever going to get a penny out of you? Which is why most SERP tracking services charge you at minimum double digits per month before even letting you access their members area. The logic obviously is: If the customer pays for it, they will figure it out. And once they are subscribed to a monthly payment plan, chances are good they will stick around because it is too much of a hassle to cancel the subscription. Or maybe their philosophy is similar to many online service: Let’s hope they forget to cancel their monthly subscription and continue paying us month after month. We see this mentality in just about every service industry in the world. It certainly is no exception when it comes to many SERP positioning tracking services. It really is too bad, but with so little competition in the SEO niche, they sadly get away with it! I should clarify: I am not talking about those one off “check my Google position” tools here. 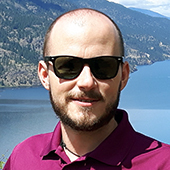 I am talking about tools that check your search engine ranking position at least once per day on complete autopilot and keep track where you ranked yesterday, last week, last month, etc. 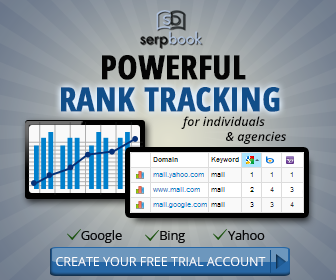 One such service is SerpBook – an actual rank tracking service I currently use. They are so confident in their service that they give you a 30 day trial run – with complete access to their tracking service – for free. I’ve heard of 1 day trials, 7 day trials, and the odd 14 day trials, but I have never heard of a free 30 day trial of such a service before. So huge thumbs up for SerpBook for going the extra mile! As hinted at before, I have tried various “popular” rank checker tools in all my years of doing SEO, but none of them quite compare with SerpBook. Here are a couple reasons why I stopped using the other ones! SourceHunter is owned by Alex Becker. He is the same guy that owns the largest SEO marketplace: Konker. Although I have a lot of respect for Alex and what he has accomplished in the SEO world, SourceHunter is buggy as hell. As in, I (and many others) had nothing but issues with it for months at a time. As a software owner myself, I can understand when new programs take time to get their bugs worked out, but if after 3 months the tool still isn’t tracking properly or randomly stops tracking all together, it its time to move on to something more reliable. To add to the headache, support overall took 1 to 2 weeks to get back to you and they would address an individual campaign issue instead of “fixing” it for everyone, meaning I would have the same issue next week with another campaign. Again, not at all reliable and yet it is still peddled as “the best tool on the market” by Alex. I had 2 accounts with them over different periods of time and both kept on having the same issues, so I finally decided it’s time to move on and find something more reliable. With SerpBook I am able to process twice as much data – reliably, day after day – at half the cost. I love ScrapeBox. It’s been around forever, is owned by every serious SEO marketer, and still gets regular updates – making an already great tool even greater. So I have absolutely no beef with ScrapeBox. In fact, I have a dedicated server in the Netherlands for the sole purpose of using ScrapeBox on it. I could run it on my laptop but because I travel a lot, I prefer having it on a dedicated server that doesn’t move and is always connected to a CRAZY fast internet connection. ScrapeBox itself is fairly user friendly and allows you to process huge amounts of data very quickly – making it the ideal and probably the most used desktop based SEO software ever. It comes with dozens of free plugins, as well as a handful of paid plugins. All of which get regular updates and are super easy to install. The Rank Tracker plugin is a paid add on (I think I paid $20 for it). It’s great if you want to take a quick peek at where a site ranks for a few dozen keywords, and you CAN get it to check once per day where your site ranks for all your keywords on Google, Bing, or Yahoo. It is supposed to keep track of previous rank positions as well, but I kept having issues with that. It is all around a bit tedious and definitely not as hands off and user friendly as SerpBook. Needless to say I’ve completely stopped using it. I have used a few other Google SERP positioning tracker tools but I won’t mention them because it’s either been too long since I used them (a lot can have changed since) or they were a side product of another service I no longer use. A few of them have disappeared since as well (as in they no longer exist) so not worth mentioning them. 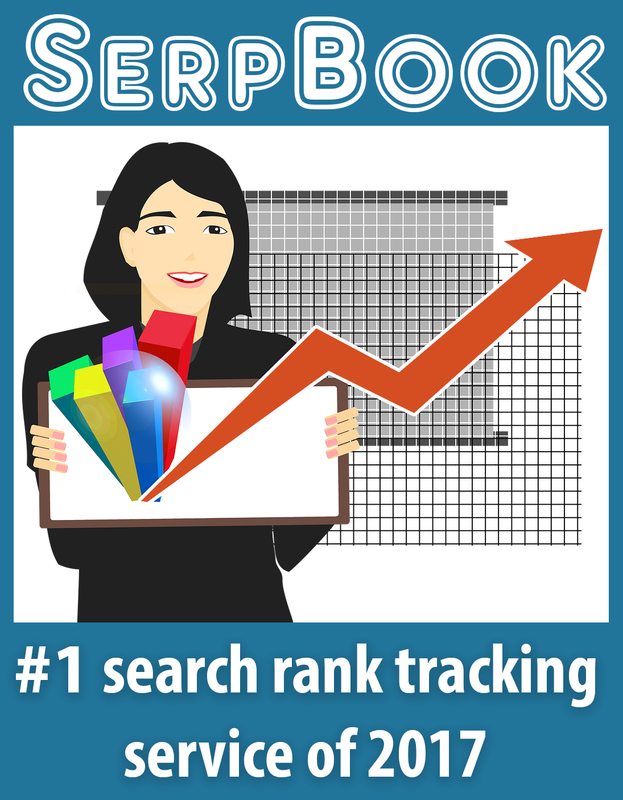 SerpBook is NOT one of those SERP checker tools you find plenty of when searching Google. The ones you have to manually paste your URL and keyword into each time you want to check your rankings. No, these guys keep track of your keywords, URLs, and rankings. Not only that, but they check your Google, Bing, and Yahoo rankings at least once per day and again – they keep track of it all. The best part? You get to test their entire service for a full hands on experience for 30 full days before they ever ask for a dime. Even then their prices are a lot more reasonable than what I have paid in the past for lower caliber SERP position checking services. I currently have a plan with them where they daily update 250 keyword rankings across different sites. They do this like clockwork without me touching it. If I want to see if any rankings changed throughout the day, I can easily force it to update any or all of those keywords whenever I want. As of writing this I pay about $23 per month for that plan. You can go yearly as well in which case you would save $5 per month (or $60 per year). Before I had another plan with them for which I only paid $13 per month (or $10/month if you pay annually) and they would update 50 of my keyword rankings every 2 hours. This might be a better option for those checking their stats multiple times per day. They also have a weekly ranking stats update option where the smallest package will check 1000 keyword rank positions once per week. I have never tried it but it is probably plenty for most websites where SEO is done more passively. All of these are the smallest packages in their category, so you definitely can go with larger packages for each as well if you think you will need it. All around I have been exceptionally happy with SerpBook because their service simply works. Not once in all my time with them (almost a year now) have they dropped the ball on me or have I had to contact support because something didn’t work the way it was supposed to. So, if you are looking for a reliable SERP checker tool, I would strongly recommend you get a free 30 day trial with SerpBook. If you like it, keep using it by selecting a paid plan, or simply don’t pay after 30 days and move on. You can get your free trial here! Interesting Side Note: Since moving all of my SERP rank tracking needs over to them, I have noticed all serious SEO marketers using them. I think that alone speaks volumes! « Is Creating Quality Content Enough for SEO? Too many compliments too little space, thanks.